The core strength of the product lies in even a layman getting enabled by the system to exploit all the benefits that are unique to NEOS alone! This is enhanced further with a true digital experience inbuilt into the basic system at no extra cost, something no other PBX in the market can truly claim to deliver today. While the end user considerations are just a small part of the entire scheme of benefits that the NEOS offers; the user organization also stands to gain not only in terms of productivity leaps but also monetary profits! 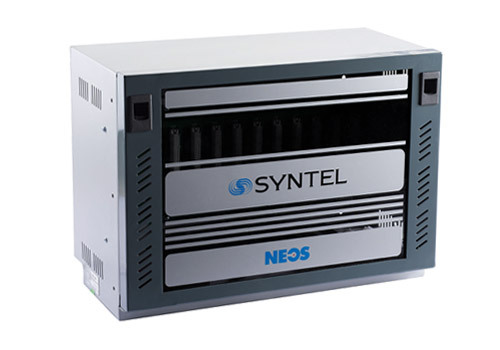 The Neos System is a new age Digital EPABX with features and addons that can be leveraged by non-technical users. This is enhanced with a true digital experience, something that no other PBX system in the market can claim today. Can you predict how much your business will grow: 20%, 50%, 100%? Introducing the EPABX that grows with your business. 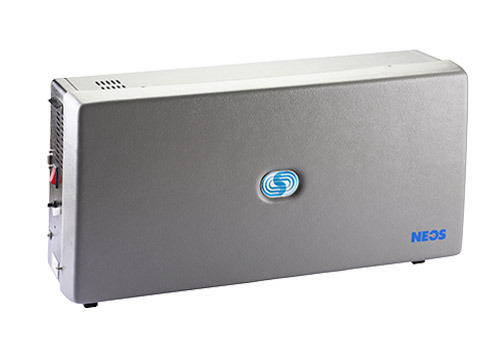 The Neos EPABX is unique compared to other EPABX systems by way of expandability. It offers the choice of being able to increase the number of lines at any point in the future without having to replace the entire system. This is useful for small businesses as buying an EPABX system configured today for future call volumes can be expensive. With the Neos, upgrades for more lines are easily handled with a fraction of the cost of a new system and by merely buying additional function cards. Neos connects to all available options – ISDN PRI, SIP, GSM and Analog; so choosing the connectivity for your business, based on your billing and consumption is a customised process. 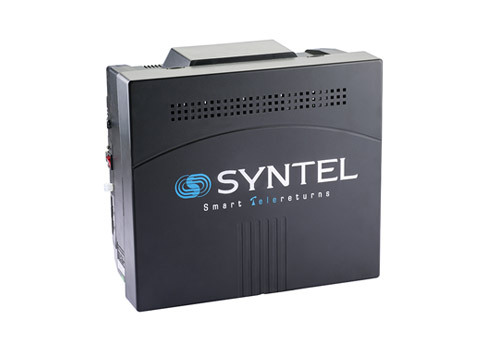 A Syntel Consultant will tailor make your connectivity options for your particular need. Do people in your company answer the phone with a consistent greeting? Do you have a high volume of incoming calls? Either way, the Neos can handle these headaches in an efficient manner. With your business growing, you want to leave a good impression with all the callers, many of whom could be your existing or prospective customers. The Neos-EPABX helps you efficiently manage customer queues with pre-recorded greetings and voice prompts with its auto attendant. The system is able to handle high call traffic, with all calls answered with a consistent professional greeting. It can also direct a caller to the correct extension with various voice messages as well as request a call back if the person called is not available or busy. This makes sure that you attend to all your callers without any missed calls or irate callers. Most EPABX systems come with a host of features, that are not used regularly. Over a period of time, customers forget how to access these features. The Neos Voice Prompts will prompt you to perform context sensitive actions – such as set up conference calls, request callbacks and more: basically get to use all the features of the system. Additionally on the Neos, you can program the prompts in English or Hindi, depending on the comfort level of the user – Hindi on some users extensions and English on others. This makes the system more user-friendly and naturally preferred: as all the features of the system available at that point of time can be accessed using context-sensitive voice prompted menus. For example: On getting a busy tone for an extension, a normal extension caller is prompted to dial 4 to request a call back, whereas a senior extension caller gets the option of “Barging-in” to the ongoing call, besides the call back option. The main communication bottleneck for small businesses is the fact that too many incoming or outgoing calls will result in their advertised numbers kept constantly busy. This is crippling as it can mean frustrated callers and lost calls. However the Neos EPABX can handle 30 simultaneous voice call channels on a single telephone number. This is convenient for your customers who have to store/recall just one number besides eliminating all worries about your incoming lines being clogged. When a call comes into the system, customers can transfer themselves to the desired extension directly. This reduces delays as the caller need not wait to be transferred, besides decluttering the reception. The Neos EPABX also has a large capacity to log calls (10,000). This ensures that all call details are recorded and stored for future reference and improvement. Gone are the days where you need to dedicate a telephone line to send or receive a fax. The Neos system allows all any of its lines to be used as a fax line. This saves you from shelling out additional funds for a dedicated fax line. When a potential customer is put on hold for any reason, instead of a blank unprofessional hold tone or office background noise, callers can now wait patiently to the sound of a musical tune or even to advertisements/messages which will help them better understand your products and offers. Digital PBX, completely non blocking with state of the art features which protect your investment and also save on telecommunication costs. SIP Trunk Lines and SIP networking with flexibility in having any one or combination of any of the above options. SIP extensions with third party SIP phones. 3S Capacity: up to 80 ports.